I told myself this would not bug me, but it will not stop bugging me. I have not seen Penny Dreadful. 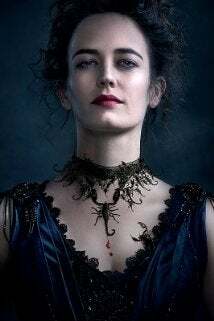 What does it mean when a customer (who clearly did not like me) states in a Yelp review that I am "straight out of an episode of Penny Dreadful?" I've been told more times than I can count that I look exactly like Eva Green, but would it mean anything beyond that? What is the personality of her character? And my hair is NOT that messy when I'm at work, ok.
At least someone else thought I was "fabulous." Don't read Yelp reviews about yourself kids, that way lies madness.